It’s Hangover Thursday, how’s your head? Now I know you probably read today’s title and thought one of two things. 1. “What do books have to do with booze?” and 2. “Keep it secret, keep it safe.” You have to trust me on this one, it’ll get back around to booze I promise. 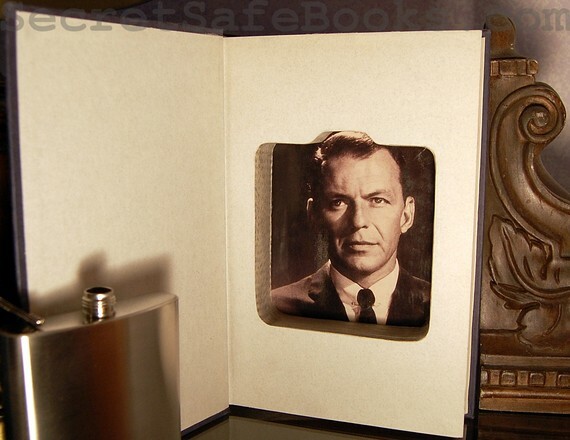 Secret Safe Books is an incredible Etsy store created by Kara Witham. So what exactly are Secret Safe Books? Kara takes a scroll saw, carves a hiding space into the pages of a hardcover book, secures the pages with professional book-binding glue, and then mounts magnets into the book so it closes secure. 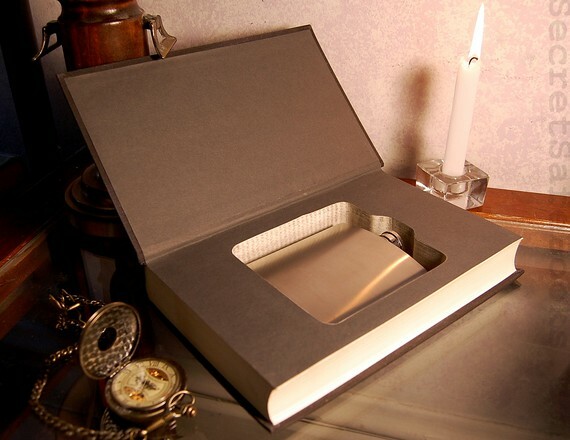 Now this is where the product gets even more incredible, there are Secret Safe Books made specifically for flasks. Now I have to admit that I’m a sucker for a flask. I don’t carry them around for everyday use or anything like that; although I do tend to have one or two of them around when I am hitting a convention. There is just something cool about a flask. This product takes that cool and wraps it up an all the fun of secret compartments. 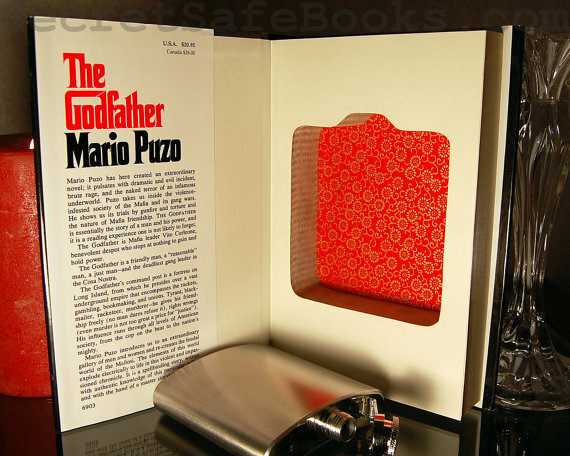 I might not have James Bond gadgets but I will have a book that hides a flask. I think I can live with that. Check out the Secret Safe Books store. They have a number of different books ready to hide a flask for you. It looks like they take custom orders too. I think I’d like to have a nice Raymond Chandler one made, it seems fitting. All images used today were taken from the Secret Safe store to show you how awesome it is.